Municipal policymakers are today challenged to achieve a range of global, national and local policy objectives in several societal areas. In Sweden, for example, there are sixteen Environmental Quality Objectives defined by the government. The complexity faced by municipalities in prioritizing environmental measures is demonstrated by the Environmental Plan of Gothenburg, which suggests 212 measures to address twelve of the government’s environmental objectives. The selection and execution of effective measures is, however, often hampered by an insufficient understanding of linkages between the objectives to be achieved and the various measures that could be adopted. As a result, municipalities seek better practical guidance on how to reach their objectives. This is especially relevant with regards to mitigating the environmental impacts of consumption, which are mostly indirect and invisible to the consumer, yet may have global environmental consequences. The project therefore aims to develop and apply a new method, Municipal Environmental Impact (MEI), to assess the effectiveness and potential to reach environmental targets of different consumption-related measures implemented at the municipal level, including environmental trade-offs. This project aims to make it easier for municipalities to see the indirect environmental impact of consumption within their borders and choose effective measures to reach their targets. Intended users are practitioners from municipalities and regions; primarily on the strategic level, but also in the municipal departments having relevant operational responsibilities. Municipal representatives will be actively involved in the development of the MEI method to ensure that it meets the practical needs and interests of municipalities. The method will be developed through combining the methods of Material Flow Analysis (MFA) and Life Cycle Assessment (LCA) to identify products and sectors with high environmental impacts within the municipalities’ metabolism. MFA is a systematic assessment of the accumulated stocks and flows of materials (products) over time and space within a defined system, in this case a municipality. Using transport, trade, production, and waste data to perform MFA, we can estimate the consumption of products within an area. LCA is a tool used to quantify the environmental impact of a product through all stages in its life cycle, from the “cradle” (e.g., resource extraction, production) to “grave” (e.g., disposal). By linking these two tools, we can estimate the environmental impact of consumption. A methodology to quantify what effect municipal measures have on material flow data will also be developed. What are the product groups, sectors and functions that should be prioritized due to high environmental impacts in the municipalities’ metabolism? To what extent can municipalities influence environmental impacts from consumption of resources and products? Which measures are most effective and/or have the highest potential to reduce environmental impacts from production and consumption and to reach local environmental targets? Urban Metabolism is a multi-disciplinary research area with a focus of providing important insights into functioning of urban areas for the purpose of proposing effective solutions for sustainable urban development. Urban Metabolism accounts resource consumption and emissions arising from urban socioeconomic activities in terms of material and energy flows. Then, corresponding local and global environmental impacts are analyzed and stakeholders and factors influencing the flows are determined. The stakeholders include industry, public sector and population. The factors include geography and natural capital, economic and industrial structure, societal organization, rules and norms. Currently, there are two Urban Metabolism projects conducted within Mistra Urban Futures platform, this project Municipal Environmental Impact and Sustainable Urban Districts. 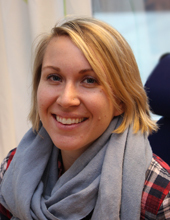 Alexandra Westin is a doctoral student in the Division of Water Environment Technology, research group Urban Metabolism at Chalmers University of Technology. Associate Professor, Architecture and Civil Engineering, Water Environment Technology. Director Urban Metabolism Research Group, Chalmers University of Technology. Post doctoral position, Architecture and Civil Engineering, Water Environment Technology, Chalmers University of Technology. Felipe Oliviera is a Industrial PhD student at VCC.